Julie Thompson attended Ridgefield High School in Ridgefield, Washington, where she was a state champion track and field and volleyball star. Following her athletic pursuits, Julie committed to play volleyball at the University of Portland in Oregon. After two years on the team, Julie transferred to the University of San Francisco where she dominated as an outside hitter for the volleyball team while earning a bachelor’s degree in accounting. After meeting at a gym at the University of Portland, Julie married basketball star Mychal Thompson in 1987. Together they had three sons and currently reside in Los Angeles, CA. Mychal Thompson, basketball star, was born January 30, 1955 in Nassau, Bahamas. The Bahamas play an important role in Mychal's successful career, serving as the place where he grew up playing pickup on the local courts and where his love for the game grew. After a coach recruited Mychal from the Bahamas to move to Miami, Florida to compete at a higher level, his father encouraged him to take the opportunity to pursue his basketball dream. After two successful years in Miami, Mychal moved on to play both power forward and center for the University of Minnesota. After a successful college career, he became the first overall draft pick in the 1978 NBA draft. He played 14 seasons in the NBA for the Portland Trail Blazers, San Antonio Spurs and eventually the Los Angeles Lakers, where his team won two NBA Championships. After winning the championships, Mychal returned to the Bahamas to celebrate, where he was greeted with a "hero's welcome" and was named a true Bahamian sports hero and legend. Mychal went on to marry Julie Leslie, and together they had three sons, Mychel, Klay and Trayce. All of their sons are all professional athletes. Mychal and Julie currently reside in Los Angeles where Mychal now works as the Los Angeles Lakers' radio color commentator. Certainly the greatest basketball player to ever come out of the Bahamas, Mychal is still very connected to his heritage, and he constantly makes trips back to his hometown to assist in the strengthening of basketball in the Bahamas. In honor of his efforts, a street leading to the Queen Elizabeth Sports Centre in Nassau, a famous multi-purpose stadium, was named "Mychal Thompson Boulevard" for his contribution to the history and evolution of basketball in the Bahamas. Mychel Thompson, the oldest of the three Thompson brothers, is a former American professional basketball player. Born June 1, 1988, he picked up basketball at an early age. Mychel began his high school career at Jesuit High School in Portland, Oregon, before finishing his final two years at Santa Margarita Catholic High School in Santa Margarita, California. After one year at Stoneridge Prep in Simi Valley, he committed to play for Pepperdine University in Malibu, California. In his senior season at Pepperdine, Mychel led the team in points, rebounds and three-pointers per game. He went undrafted in the 2011 NBA draft, where he was picked up in the third round of the 2011 NBA Developmental League Draft. During the 2011-2012 season, Mychel was brought up to the Cleveland Cavaliers NBA team. After his time with the Cavaliers, he continued his career in the NBA G League for 6 seasons. In 2015, Mychel played in the LBA Italian League for Pallacanestro Varese. He has also represented the Bahamas on their National Basketball Team. Mychel currently serves as the Family Ambassador for the Thompson Family Foundation. Klay Thompson, born February 8, 1990, is the middle of the three brothers. He is an American professional basketball player for the defending NBA champions, the Golden State Warriors. Following in his older brother's footsteps, Klay attended Santa Margarita Catholic High School in Rancho Santa Margarita, where he excelled on the basketball court. His senior season, Klay averaged 21 points per game, was named Division III State player of the year and League MVP. Klay took his basketball talents to Washington State University, where he started all 33 games as a true freshman. In his junior season, Klay led the Pac-10 in scoring, and set the WSU single season scoring record with 733 points. After his junior season, Klay declared for the 2011 NBA Draft, where he was selected eleventh overall by the Golden State Warriors. Thompson has had a very successful NBA career with the Golden State Warriors. He has won two NBA championships, been named an NBA All-Star three years in a row, and set countless records. 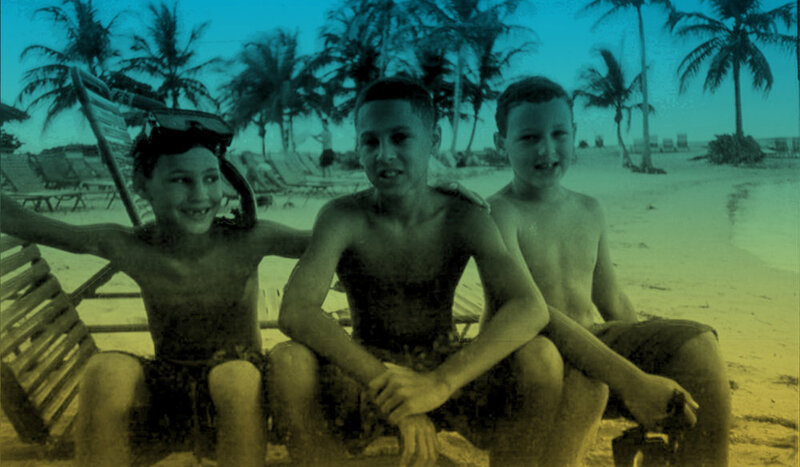 The Bahamas have been an important place for Klay as well and he frequently visits with his father, who serves as an icon and hero to the people of Nassau. Klay credits a large amount of his success to his grandfather, who encouraged his father to pursue his basketball dream. Trayce Thompson, the youngest of the three Thompson brothers, is an American professional baseball outfielder, currently a member of the Los Angeles Dodgers. Like his two older brothers, Trayce attended Santa Margarita Catholic High School in Santa Margarita, California. He was a standout baseball player and committed to play college ball for the UCLA Bruins. Trayce was selected in the second round of the 2009 MLB draft by the Chicago White Sox and chose to sign rather than enroll in college. After a few years in the minors, Trayce was promoted to the Major Leagues on August 3, 2015 for the White Sox. After only a few months in the majors, Trayce was traded to the Dodgers in December 2015. He played in 80 games for the Dodgers, before a back injury sidelined him for the remainder of the season. After recovering from his injuries, Trayce was optioned to the Oklahoma City Dodgers for the 2017 season.